Almost any theatre artist will tell you that closing nights can be bittersweet. There’s a camaraderie amongst a cast and crew that grows quickly, and at times intensely, over the few months’ course of any given production. People come together to create this living, breathing piece of art which by its very nature is not permanent – which will have to disappear into memory. In this process they come to know each other intimately, rely on each other and, hopefully, trust each other. This is most true for those who are part of every performance, on stage and off, working with a live audience who may love it or hate it or both. There’s nothing like performing live. There are no second takes in theatre, there’s only another chance the next night….until there isn’t. And you close. 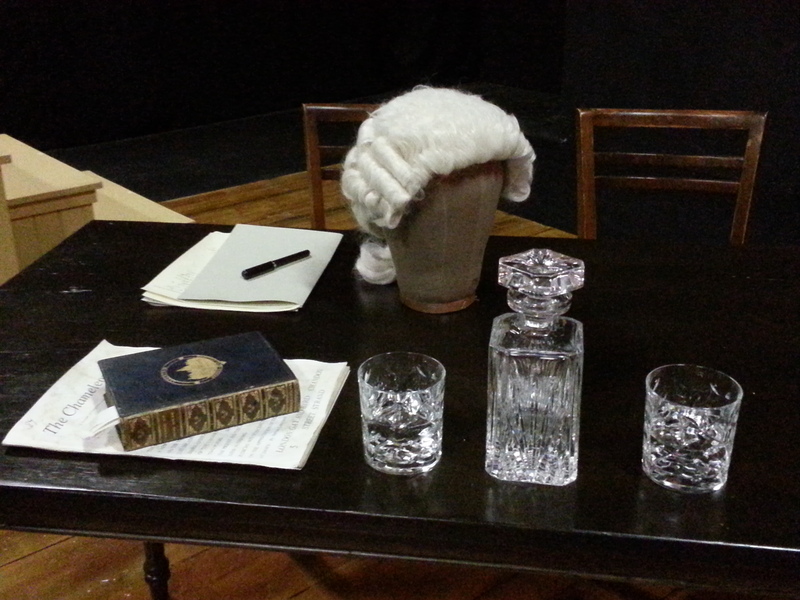 Tonight is the closing night of my current show: Gross Indecency: The Three Trials of Oscar Wilde. There’s a beauty in this kind of group work, in this non-linear script, where energy is tossed or thrown or deftly handed from person to person. And in this show most of us are always on stage the entire time. I don’t think I’ve ever watched my cast mates more in any other production. I love watching actors work. I’ve loved watching these actors work. This has been quite a memorable experience, challenging in its own unique way. There are so many new-to-me people and the cast is filled with actors I’ve come to admire—well, a few I already had admired and I’m very glad to have had this experience with them—but most of the them I didn’t know before this show. Part of this cast is young—young enough to make me feel old, and I don’t think of myself as old. They’ve reaffirmed my hope for the future of theatre. They’re creative, talented, ambitious and hungry. They’re the reason the theatre has never died, despite the calls for its demise that appear every now and then. Until I get another chance to do so, I’m going to miss working with all of them. I’ve been fortunate to have been working on some project, whether as actor or director, since September, and do not have anything definite laid out in the future just yet. (That actually may change as I write this….) This too makes the closing a little bitter. Doing theatre is something that fills me like no other thing, and when I’m away from it from too long….well, I go a bit stir crazy. I doubt that will happen. There’s only one take left, one more chance. Like every play I’ve done there are things I still strive to make more beautiful, more artful, more true. No two performances are ever the same, and tonight there’s another unique group of people who will come together to be the tenth actor in this performance: our audience. I hope they bring their A-game. I suspect we will.